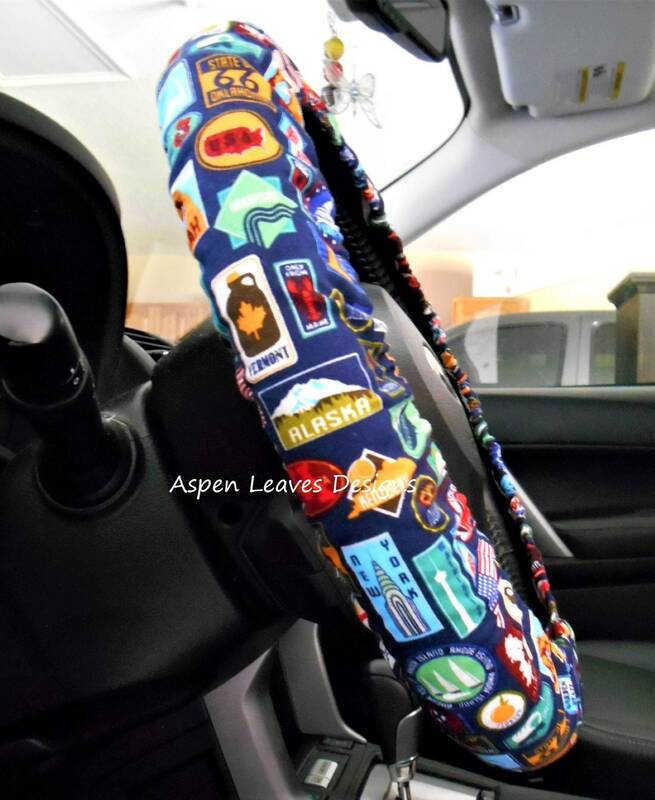 Vacation Steering wheel cover. Fully lined travel signs car accessory. Places to go car decor. State signs. 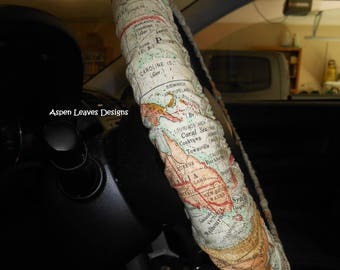 World Map Steering wheel cover. Fully lined atlas car accessory. 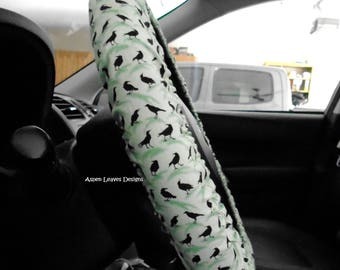 Gray wolf steering wheel cover. Fully lined endangered animal car accessory. Protect wolves! Amaryllis and rose steering wheel cover. Fully lined pink floral car accessory. Feminine and pretty. Realistic daisy steering wheel cover. Fully lined. White on black. 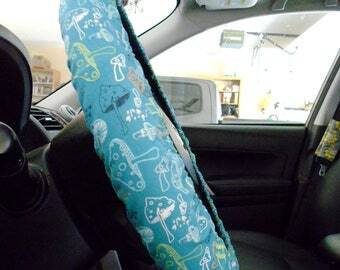 Skulls and roses steering wheel cover. Fully lined floral skull car accessory.